- Neil's extra 45 yards earns him a nice little prize! There was a new edition to our ever expanding fixture list last Saturday as we played the first ever Spring Stableford, it may have been a new competition but a familiar name sat at the top of the leaderboard as 15 handicapper Mike Angel (pictured) won with a 38 point total. Mike had a slow start but a birdie on the fourth got his round going and he scored 20 points on the back nine - Mike's reward for victory is a handicap reduction to 14! Second place went to the consistent Martin Major (pictured) with 37 points, he's now had seven top five finishes in a row - maybe Martin's a good bet for this weekend's Inaugural Trophy! Young Javier Lang has been making the most of his school holidays with plenty of practice and this has paid off as he took third place also on 37 points. All of our members accounts have now been updated with any winter competition winnings and the two's have also been credited. Incidentally there were a very impressive total of 8 two's scored in the Spring Stableford. We're expecting a good turn out for the Inaugural Trophy this Saturday which starts at 11.00am. Over the last month we've been holding our distance gained challenge to find the golfer who could increase their shot distance the most through a driver custom fitting session - it was a real success as we saw over 30 golfers and all gained distance, in fact the average increase was around 18 yards! We had a couple of guys who gained over 30 yards extra but the major success story was Neil Partington who gained a massive 45 yards more on his tee shots through his new TaylorMade M2 driver that we fitted him for, Neil's reward is a matching M2 fairway wood of his choice on us and he will be picking that up from the shop in the next day or two, well done Neil! Just because the distance gained challenge has ended don't think that we still can't do a custom fitting for you - we can help you gain distance on your driver or iron shots - you can book a fitting now by clicking here and look out soon for another great custom fitting promotion! We're sure that you all enjoyed watching a great last day of the Masters unfold on Sunday evening, they say that the Masters doesn't get going until the back nine on Sunday and that was certainly the case this year as the tournament came to life and it seemed like watching a Hollywood film at times! American world number two Jordan Spieth looked unbeatable around Augusta and he began his back nine with a seemingly insurmountable five shot lead after four birdies in a row, nobody could have predicted what would happen next as Spieth's hopes inexplicably unraveleld around Amen Corner and after two balls in the water on the twelfth hole he found himself three shots behind Englishman Danny Willett. As Willett realised he was suddenly in a shock lead he showed steely resolve and an ice cold temperament to card a bogey free round of 67 under the most intense of pressure to secure a green jacket and become the first English winner since Faldo in 1996, we also had three holes in one including this amazing billiards style shot from Louis Oosthuizen (video here), a great chip in from Lee Westwood and a leaderboard packed with English players. It's been quite a few weeks for new world number nine Danny Willett who recently became a father and he only decided to play in the Masters after baby Jake arrived 12 days early, Jordan Spieth will be distraught after his final round collapse but he is young enough and mentally strong enough to bounce back from this and we wouldn't mind betting that he will win another major before the year is out. On an amusing note have a look at this brilliant excerpt of Sir Alex Ferguson telling Willett his victory cost him £8,000 (video here)! On top of these great deals we have vibrant new Spring/Summer clothing ranges in stock from Nike, Adidas, Galvin Green, Under Armour, FootJoy and PING. Check out our website now for some great deals coming up in May for golf tuition with our PGA professional Adam Powell. The We Deliver More initiative offers lessons suitable for players of all levels and ability, in every aspect of the game, from putting through to the long game and even a studio taster session so you can have a look at our super hi-tech fitting and teaching studio. You can sign up now through our website but be quick as places are strictly limited! Click here for more info, or to book. 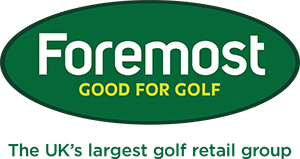 We want to help you to play better golf this season and enjoy your game that much more, if you've never been a member of a club before but would like to try it out we have a trial membership running for April and May for just £100 - you can then play as much golf as you like both here and at Pryors Hayes and it includes weekends. 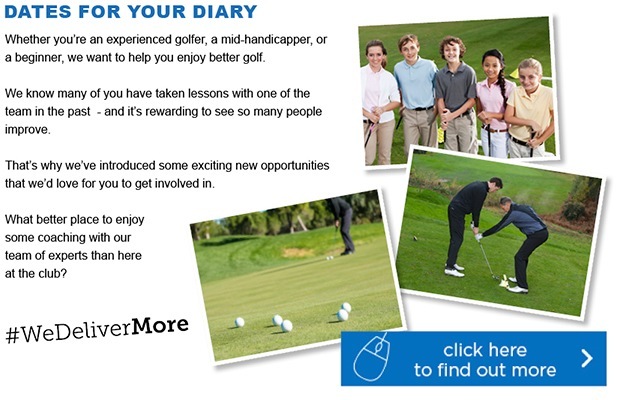 Just think how much your golf could improve in the next few months with this membership! How does £25 for your old battery sound? We’ll give you £25 when you trade in your old battery against a new Lithium one, or a trolley with a Lithium battery. Lithium offerings are quicker charging, last longer and work out cheaper in the long run – so this is the perfect time to say goodbye to Lead Acid. This is the perfect opportunity to get rid of those worn ones, currently costing you traction, power and comfort. 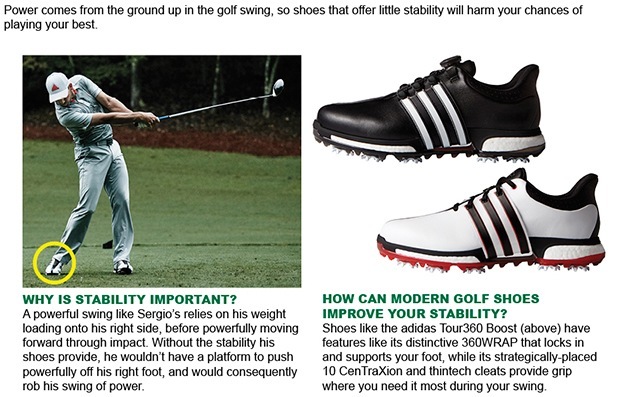 We’ll give you up to £20 against a fantastic selection of top models in FootJoy’s range, including the D.N.A. (£20) and Contour Series (£15) – pop in to get involved. Could you be suffering from a loss of power? 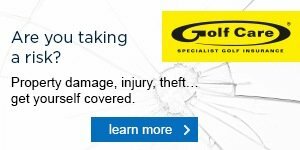 We can help you get the cover you need with our recommended insurance partner, Golf Care. One loose shot can cost you a lot more than a double bogey, it's really not worth the gamble. Find out how we can help, here.